For Fluoro Silicone Acrylate and Silicone Acrylate and Silicone Acrylate Rigid Gas Permeable Contact Lenses. These unique formulas are not sold to any retailer as store brands. 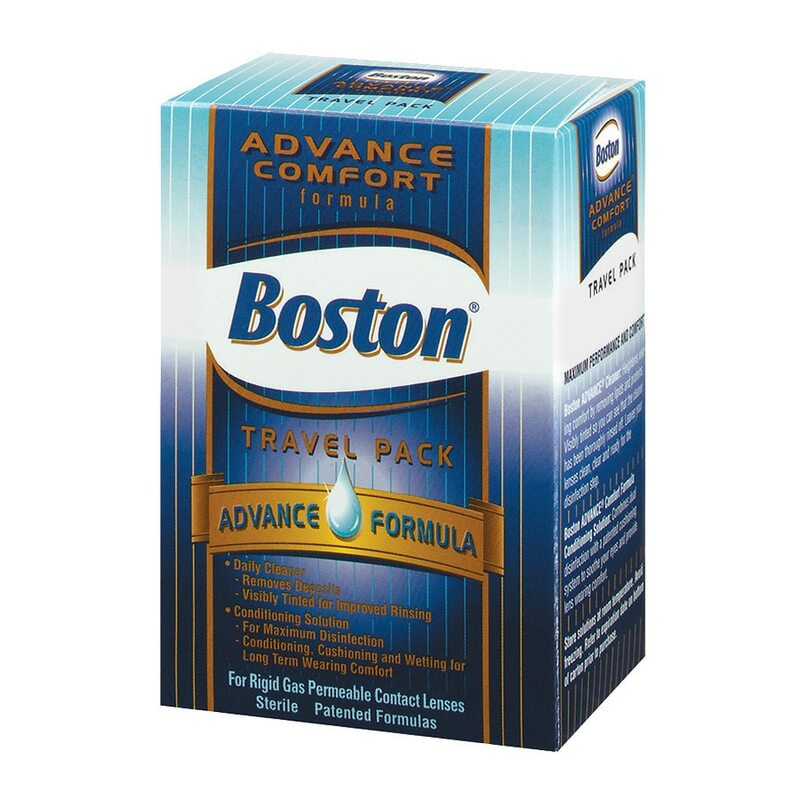 Now you can have comfort and convenience with BOSTON® Solutions at all times. 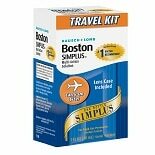 Easily carried in your purse, briefcase, luggage, etc., this travel pack provides ease of contact lens care while away from home. 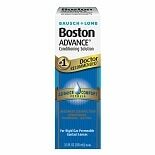 30mL Bottle of BOSTON Advance® Comfort Formula Conditioning Solution: A sterile, aqueous, buffered, slightly hypertonic solution containing a cationic cellulose derivative polmer, cellulosic viscosifier, polyvinyl alcohol and a derivatived polyethylene glycol as wetting and cushioning agents; preserved with chlorhexidine gluconate (0.003%), polyaminopropyl biguanide (0.0005%) and edetate disodium (9.95%). 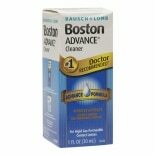 10mL Bottle of BOSTON Advance® Cleaner, Visibly Tinted: A sterile, concentrated, homogeneous surfactant solution containing alkyl ether sulfate, ethoxylated alkyl phenol, tri-quaternary cocoa-based phospholipid and silica gel as cleaning agents; with titanium dioxide. *Source: Independent Market Research Firm. Discard the conditioning solution ninety (90) days after opening. Record date opened in the space provided on bottle label. Important: All gas permeable lens solutions are not the same. Use only the solutions recommended by your doctor. 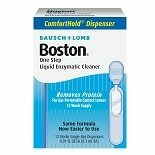 Boston One Step Liquid Enzyma....01 oz.